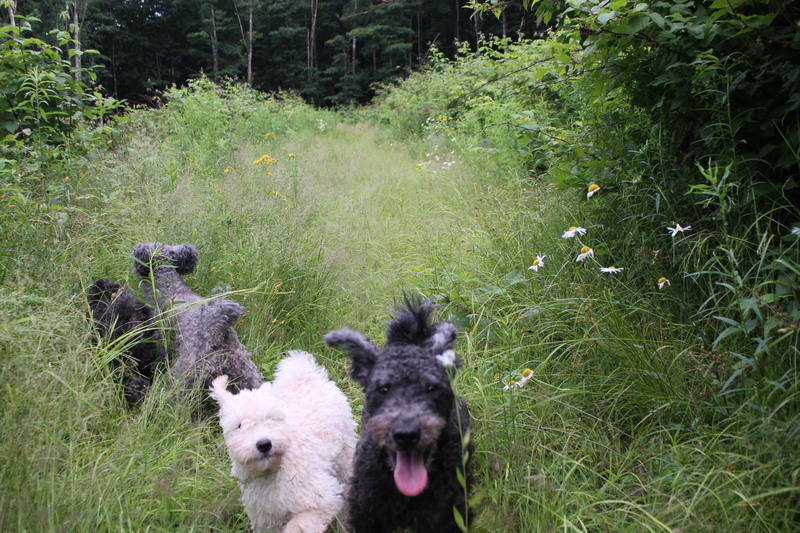 Welcome to Catskill Pumi Kennel, the home of the “Herding Pumi” in The Empire State. 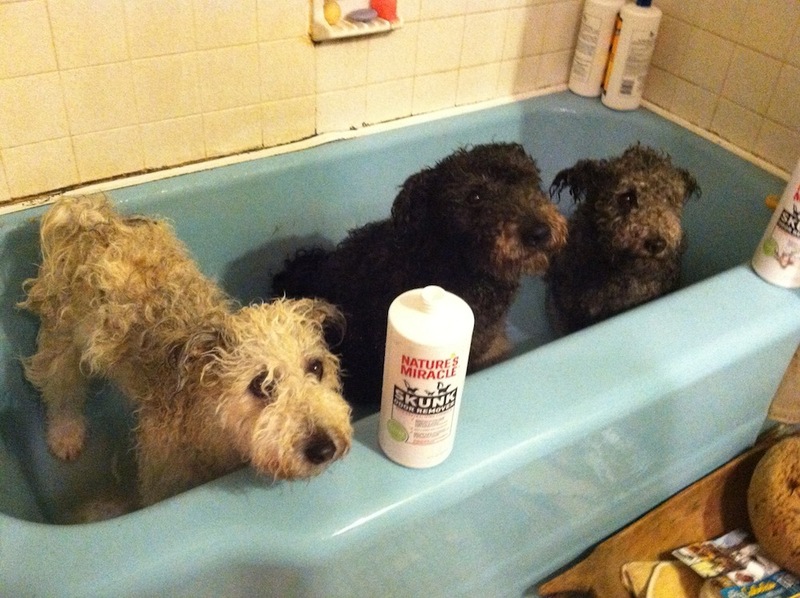 (The Pumi is often called in its Hungarian plural, “PUMIK” or “PUMIS,” in the plural form of the English language.) 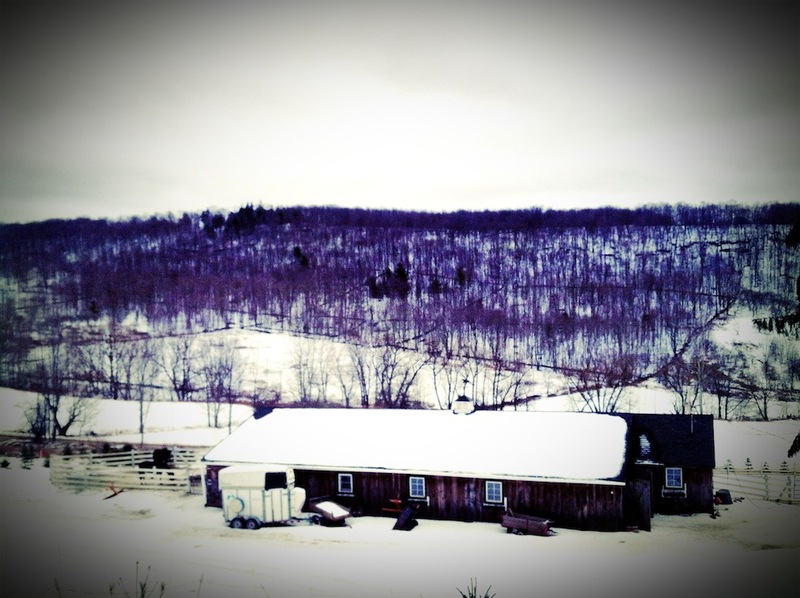 We are located at the northern foothills of the Catskill Mountains, only three hours north of New York City. 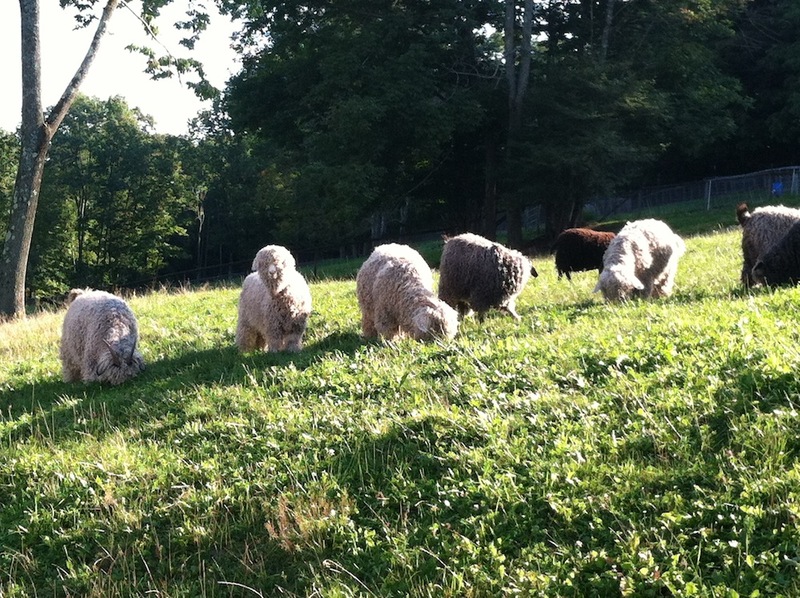 Our fiber goat and sheep farm, “GoatSheepShop,” is the perfect place for the working Pumi. 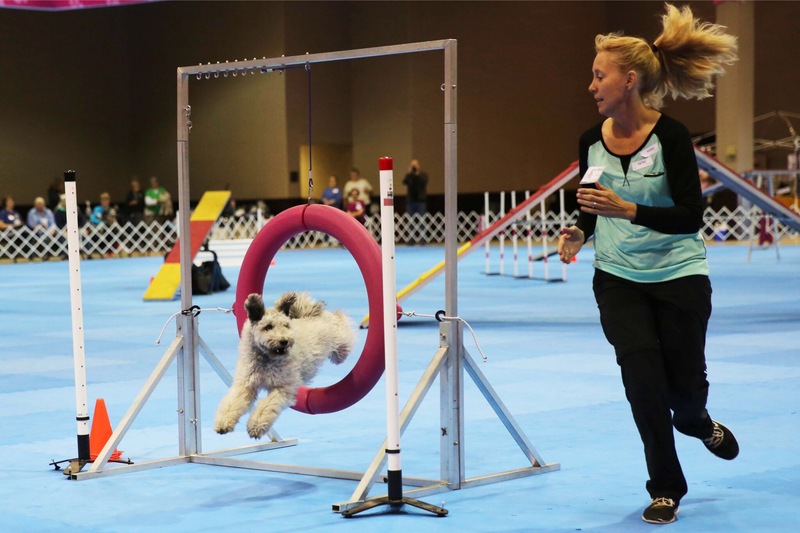 Our knowledge of the breed, experience in animal breeding in conjunction with close to twenty years of dog training/behavioral counseling experience are the necessary ingredients to breed and raise well balanced, well socialized, and well trained dogs. 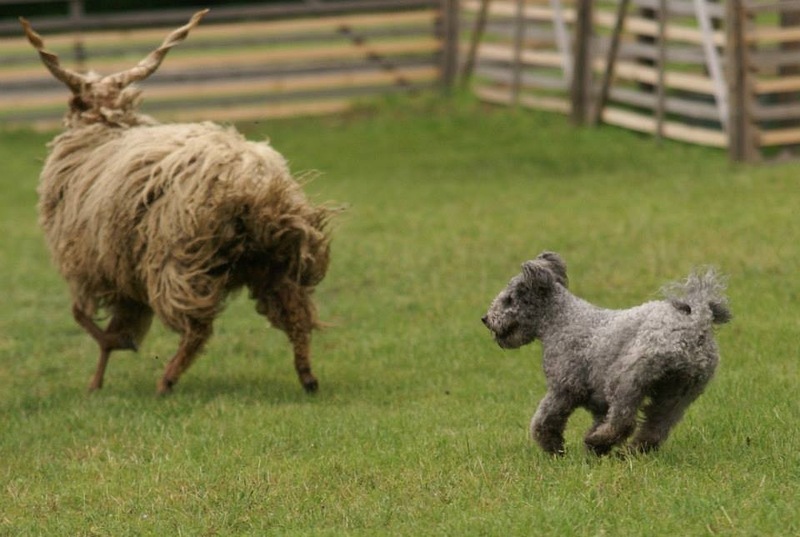 Our Pumi puppies get carefully designed foundation work and early exposure that are necessary for pet dogs, as well as trial, performance and working farm dogs to succeed. 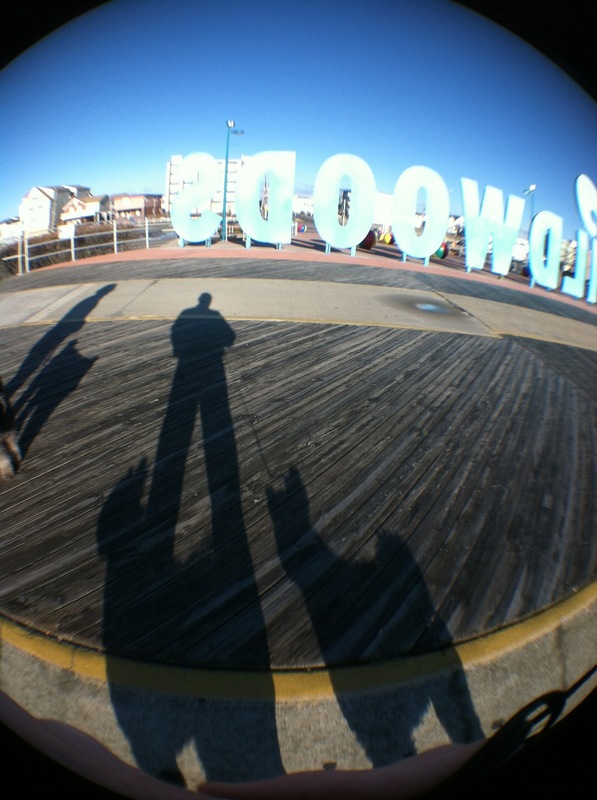 We do not kennel our dogs. 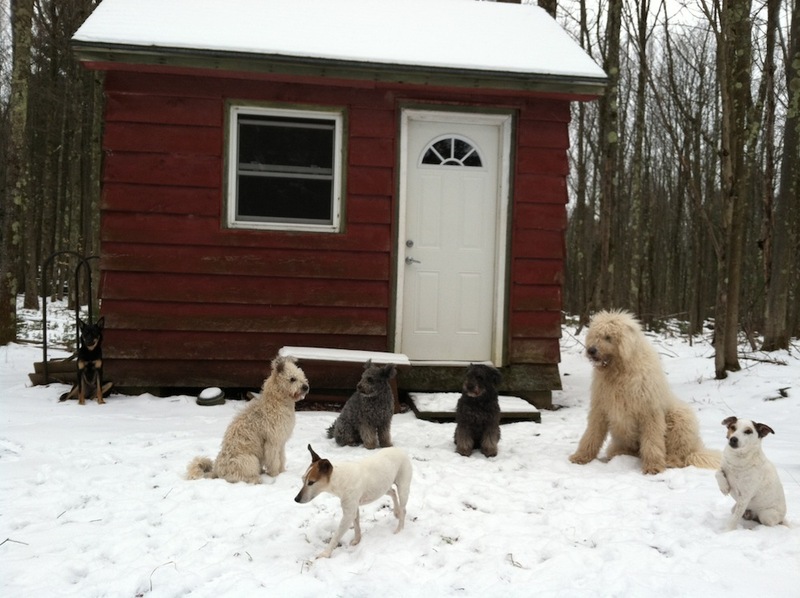 All of our Pumis, live in our home and fiber art studio where visitors and friends can freely interact with the pack. 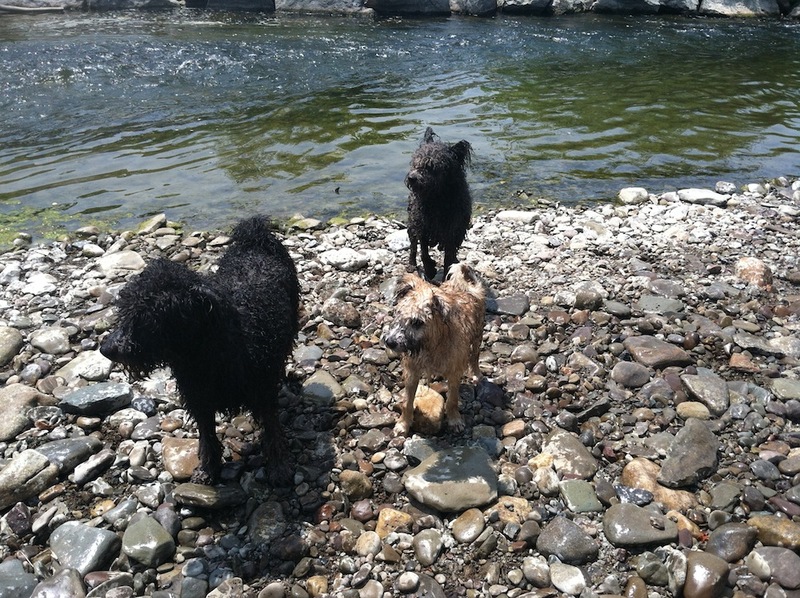 Our dogs are also integral part of the farm. Every one of them work for their paycheck by herding our sheep and goat. 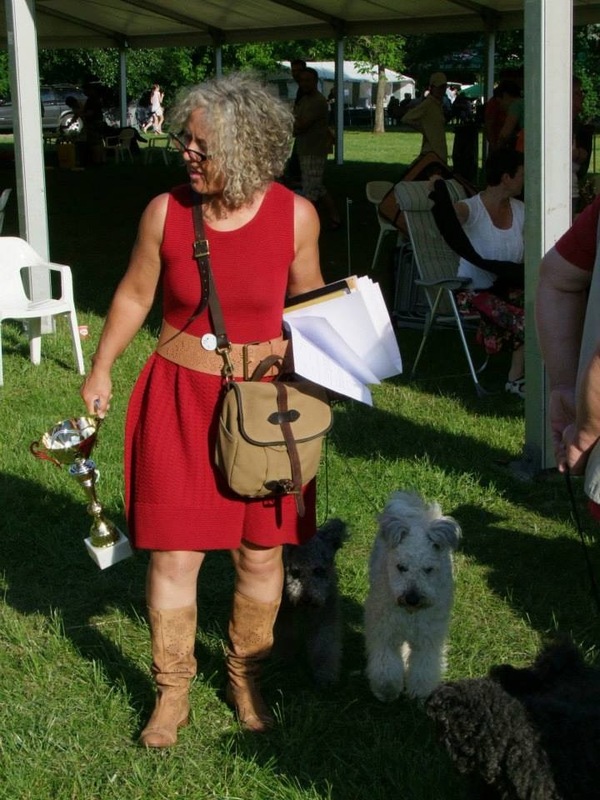 We also compete in agility, barn hunt, lure coursing, herding and show in conformation.We got originally interested in Pumis when we bought our farm. 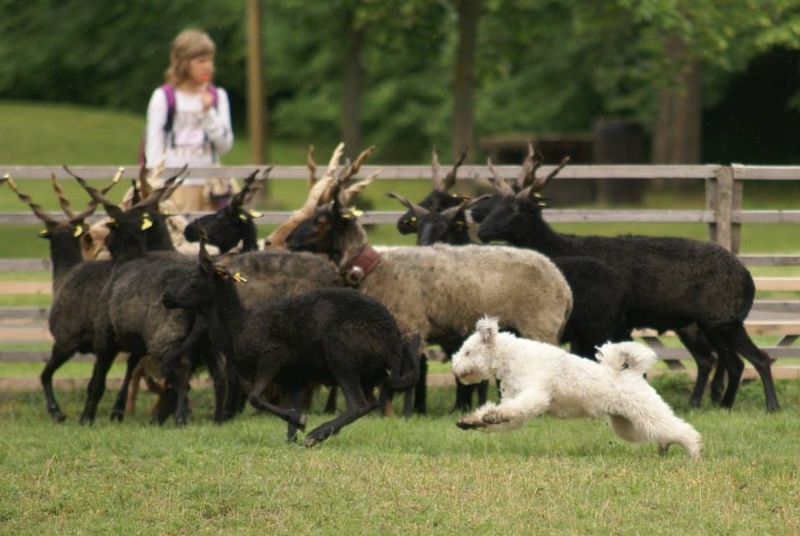 We needed reliable herding dogs that can handle a herd of notoriously tough Shetland sheep and a flock of stubborn and uncooperative Angora and Boer goats. Our farm’s layout is somewhat complicated. 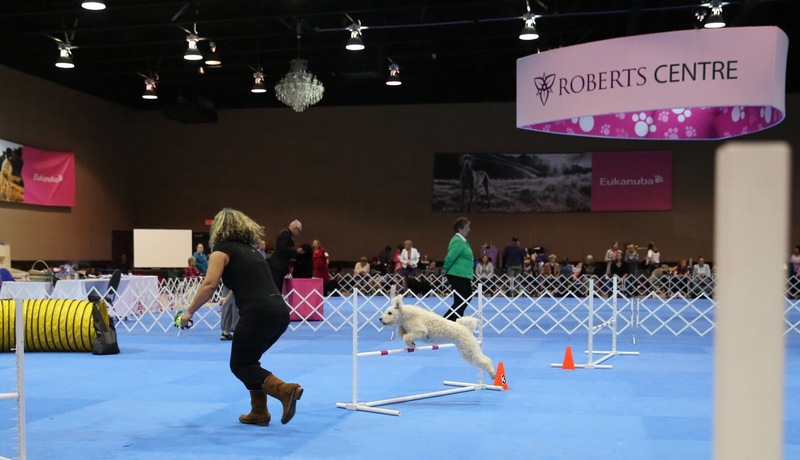 It consists a series of smaller paddocks, lots of gates, small buildings, dead end zones and narrow passages where the dogs need to be comfortable working in a tight spaces, and closed areas under significant pressure. 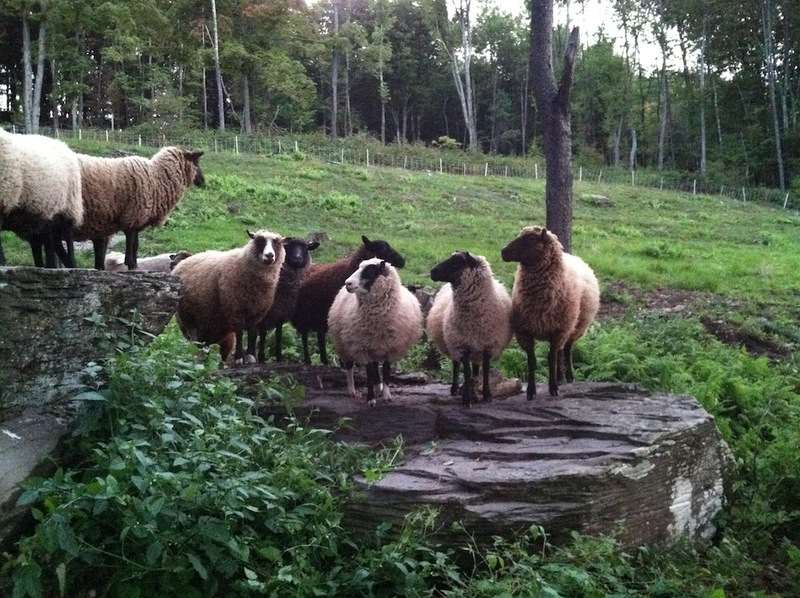 We have bought three Pumis for herding in the first three years after moving to upstate NY. 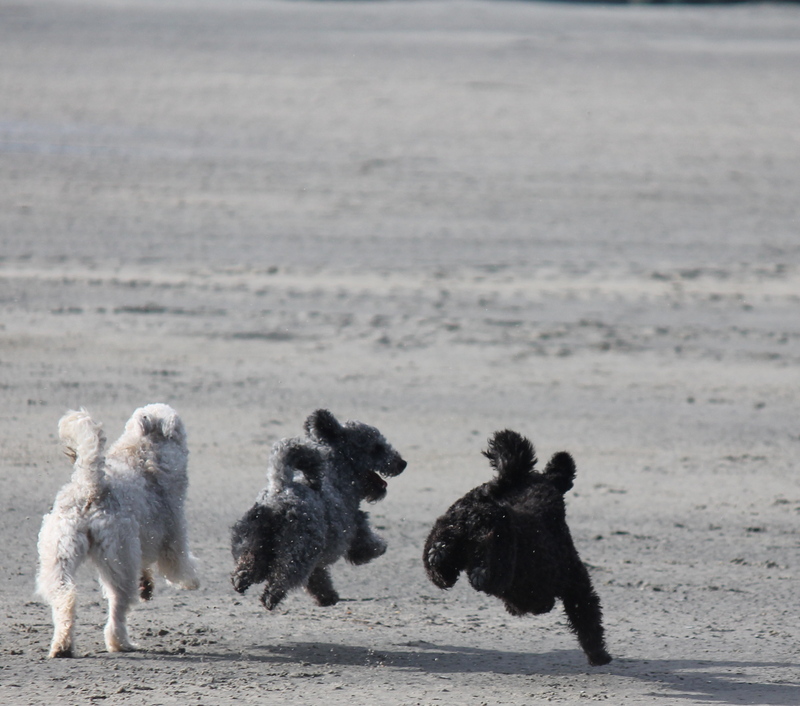 We have worked with them, kept watching them, studied them and slowly have fallen in love with the breed. 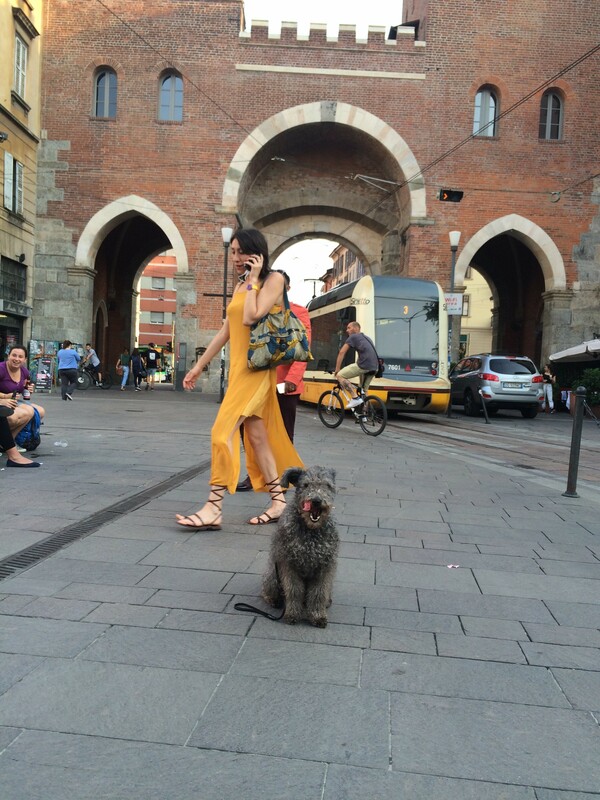 There is virtually no meaningful literature in English about the Pumi. 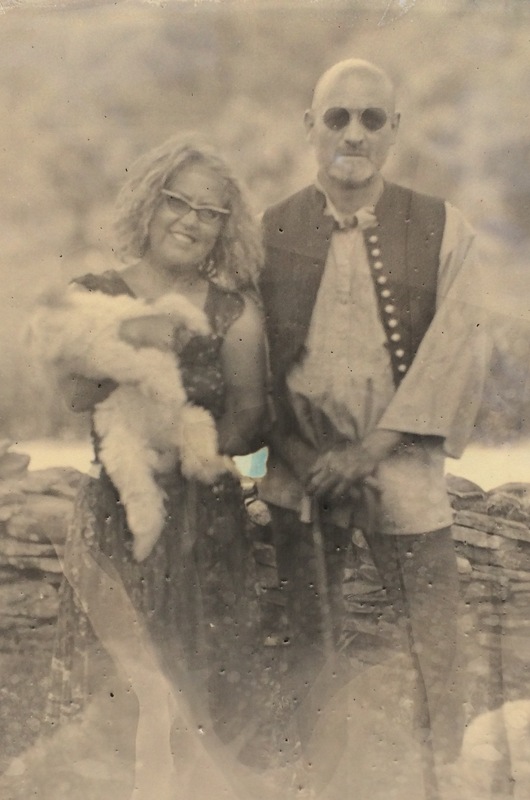 Consequently, we’ve felt extremely fortunate that as native Hungarian speakers we’ve had access to a large body of available primary source literature collected and archived by Hungarian breeders about the Pumi in Hungarian over several decades. 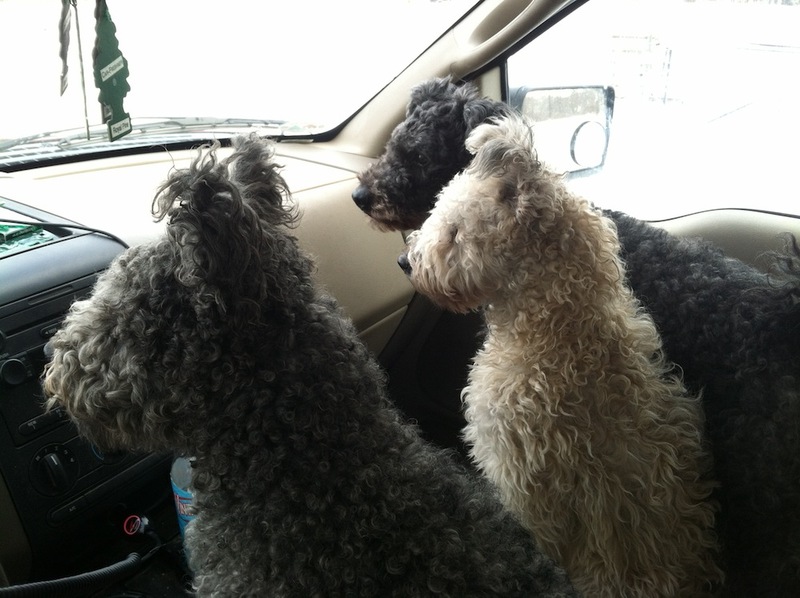 The last ten plus years, we have also traveled and visited many Pumi kennels in Hungary, Finland, and Norway. 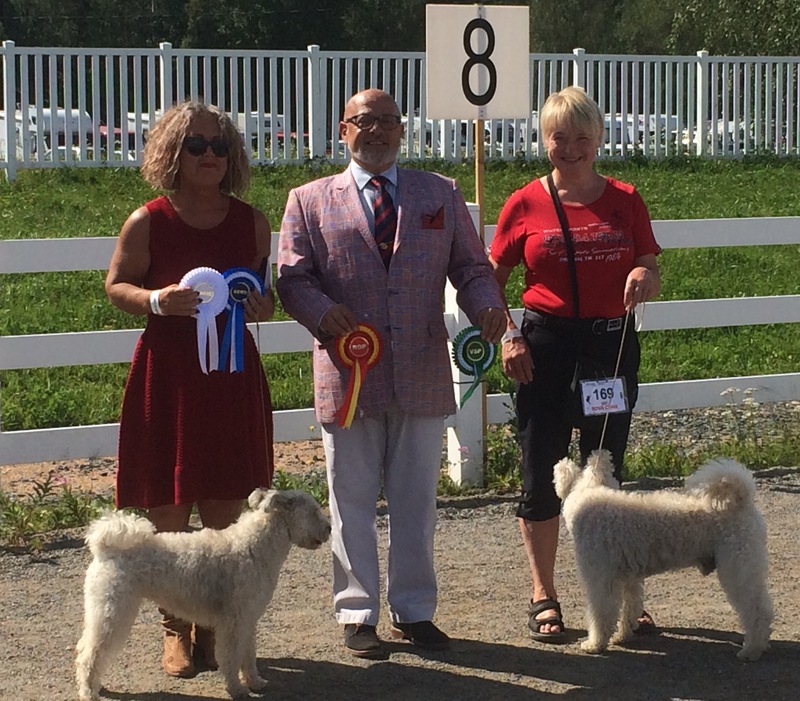 We’ve established working networks with important and experienced breeders across the Scandinavian countries and in Hungary and have learned about the breed from our adopted mentors in these countries. 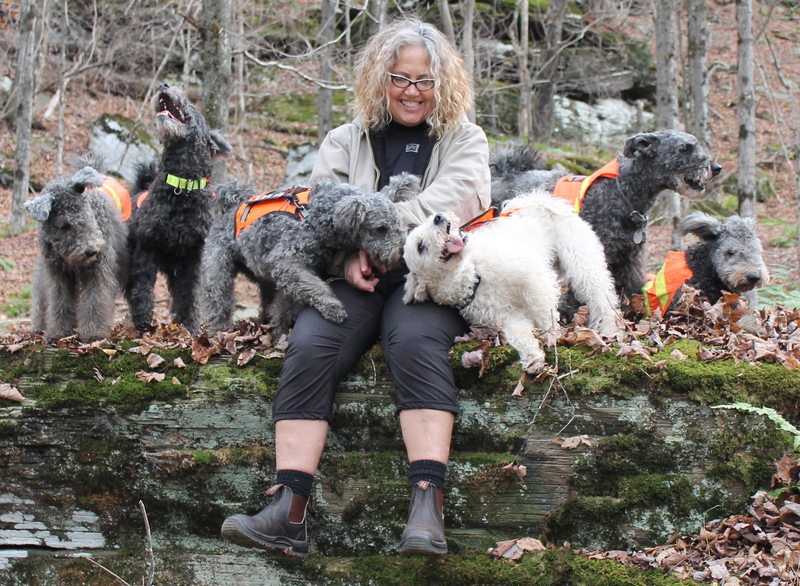 We’ve also had a chance to travel to meet old legendary Hungarian breeders who still own dogs of rare bloodlines. 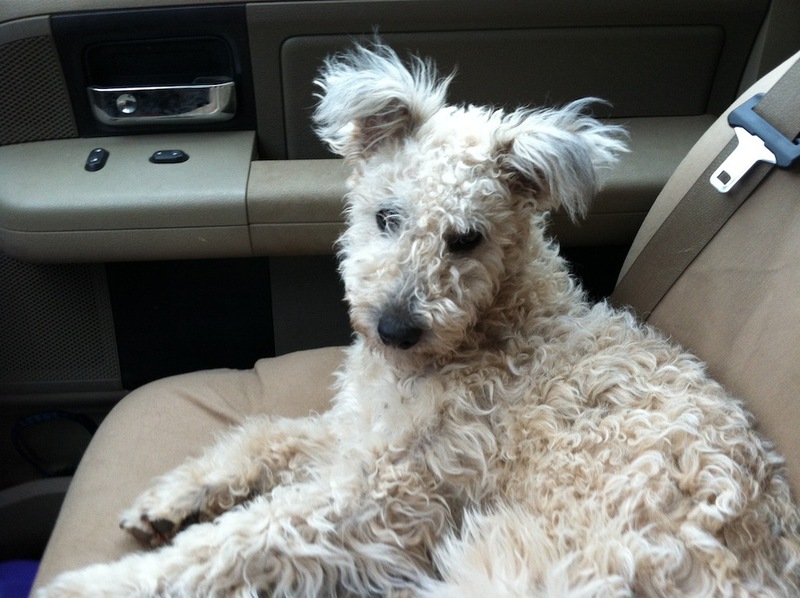 Dog breeding is a serious responsibility. It has taken us five years before we felt comfortable enough to plan our first litter, even though, we worked with our three Pumis at our farm daily, studied the breed and also gotten to know it in depth. 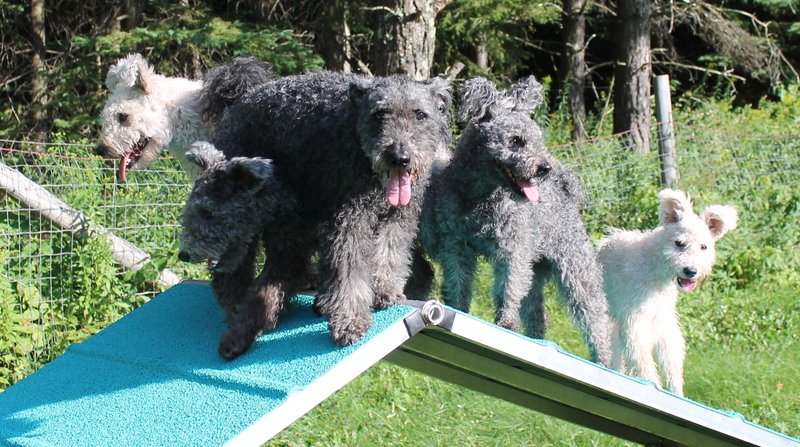 We have bred ten Pumi litters over the years, have shown and competed with our Pumis in the US and in Europe. 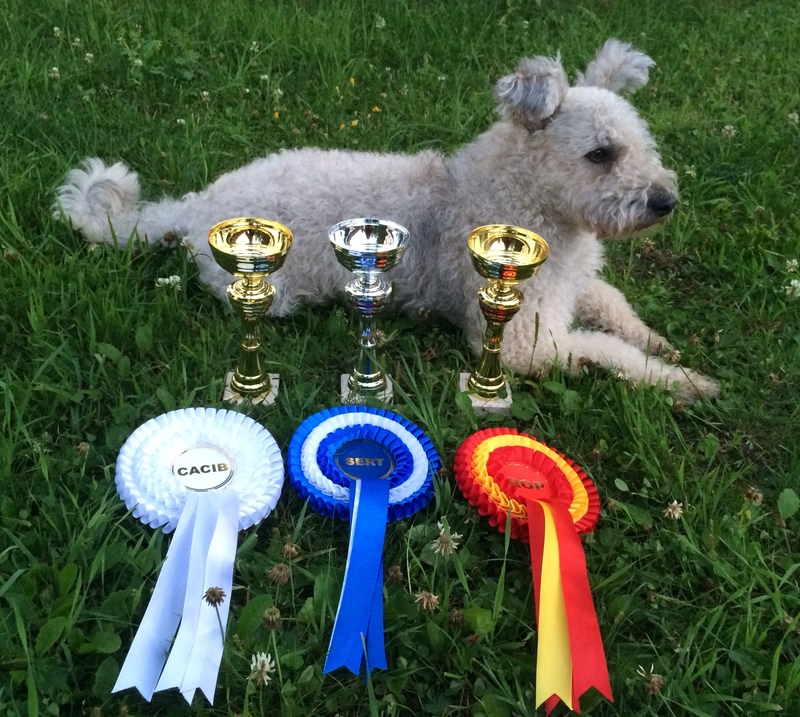 We have also exported Pumis of our own breeding to Europe, in Hungary, Sweden and Norway. 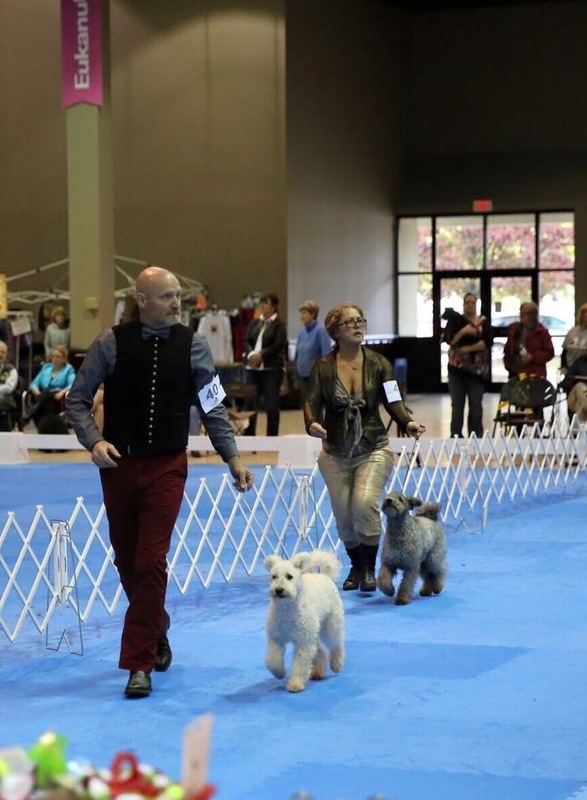 We have bred several Champion, Grand Champion Pumis, and one Silver Grand Champion. 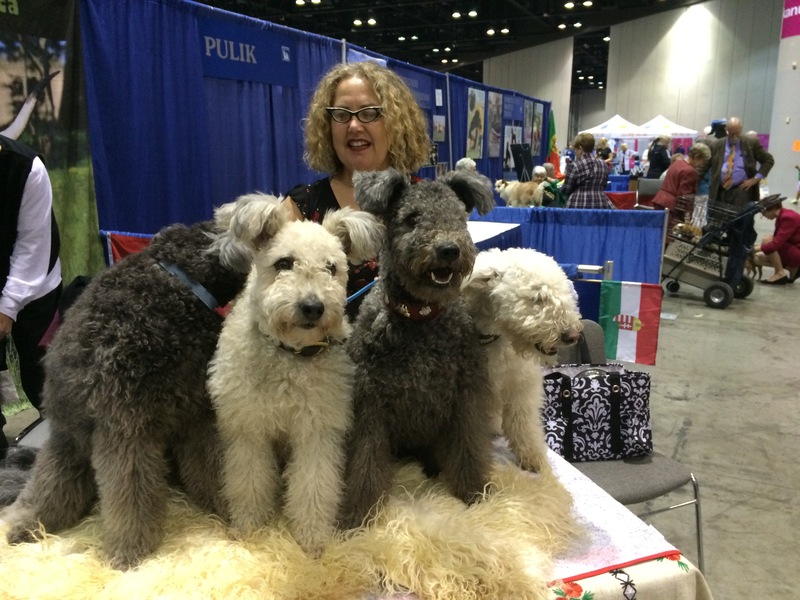 Catskill Pumis have won two AKC National BOB conformation shows, and one Group 1 in the National Owner Handled Series in Florida. 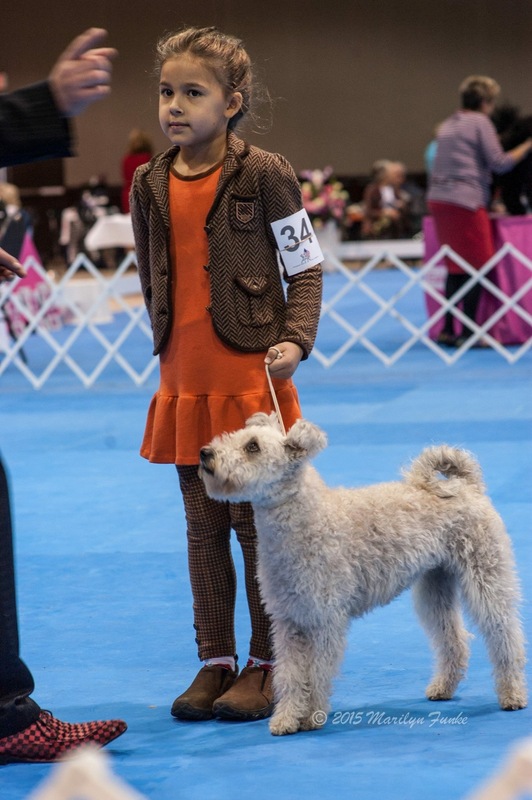 We have also placed one BOB two BOS two “Selects” and two Award of Merit titles at the prestigious annual Westminster KC show in New York City. 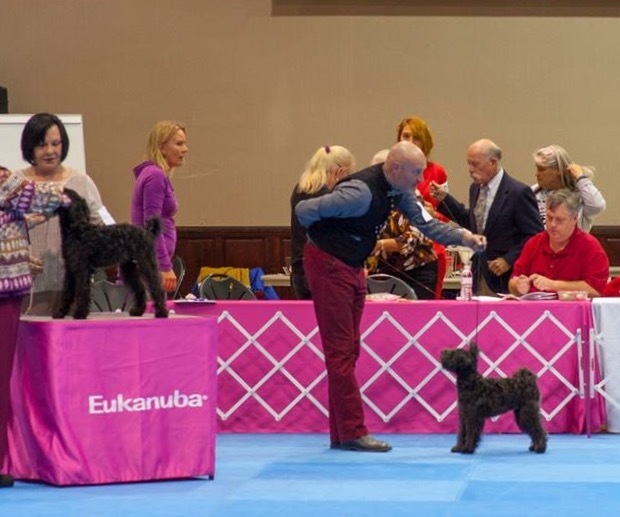 Some of our dogs have been placed at European International and National shows winning several CACIB, Res. CACIB, CAC and Res. CAC placements in Finland, Austria, Italy and Hungary. 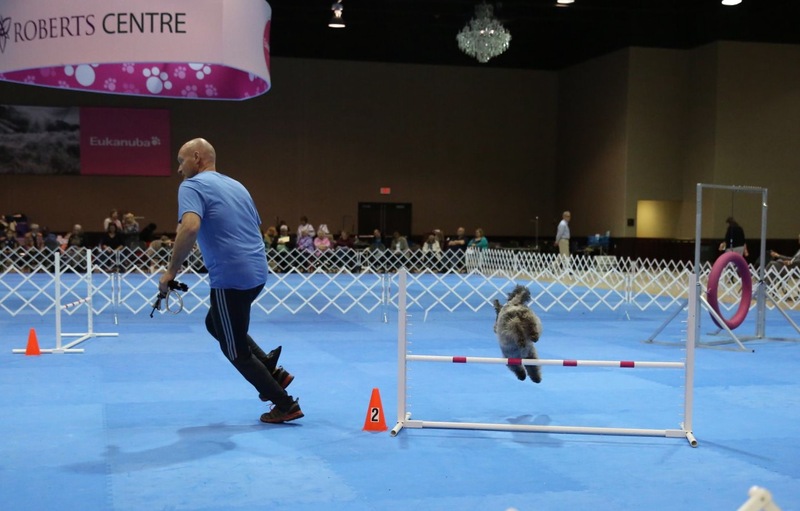 Many Catskill Pumis are also successfully competing in agility, rally, obedience, barn hunt, scent work, tracking, dock diving, and in lure coursing while others live a happy pet life in active families. 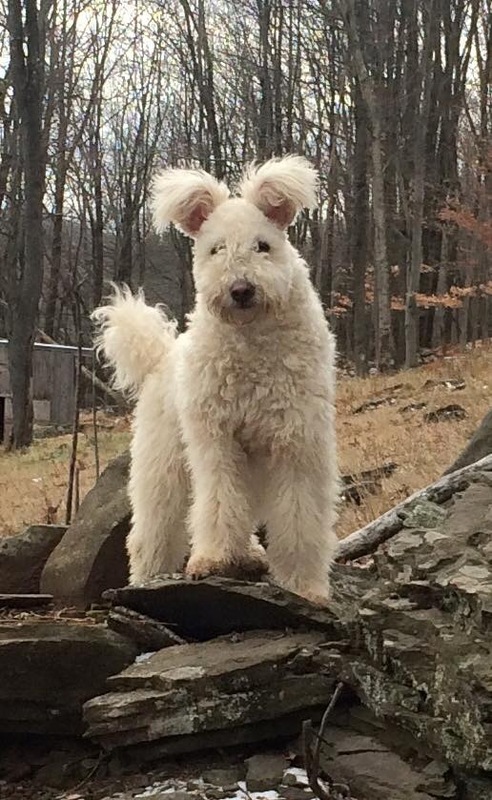 There are also a few working Catskill Pumi farm dogs at cattle ranches in Illinois and North Dakota and in Canada that we are especially proud of. 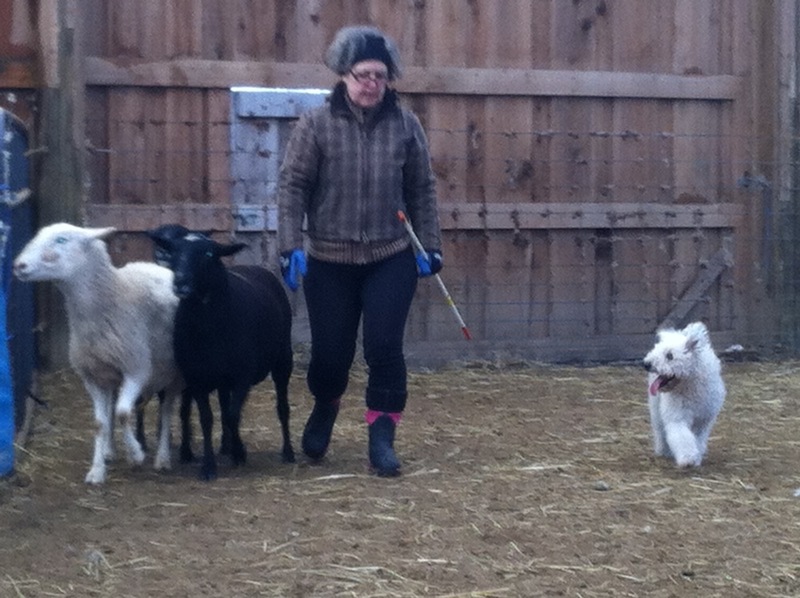 Our own dogs are also everyday working farm dogs during the week and trial dogs on weekends.